Thanks to everyone who participated in our "Help Us Name Our Schools" survey. 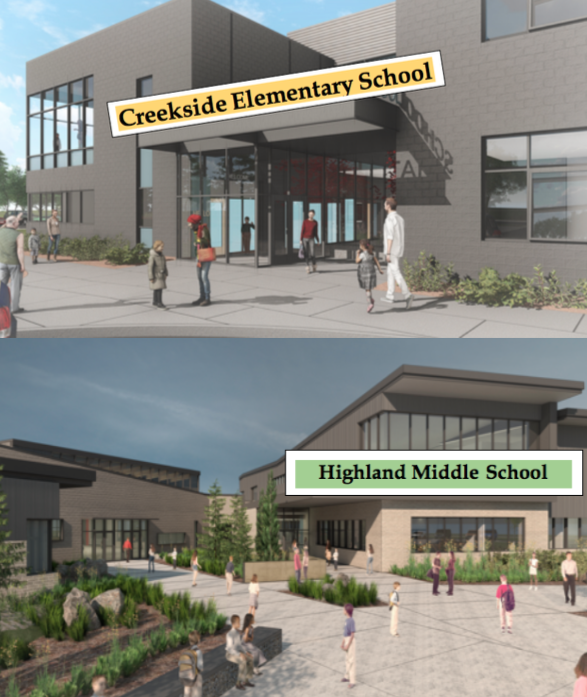 The winning name for the new elementary school is CREEKSIDE and the name for the new middle school is HIGHLAND. More than 1,000 individuals voted. 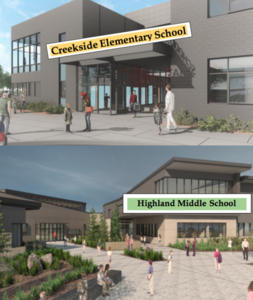 Both schools open in the Fall of 2020.